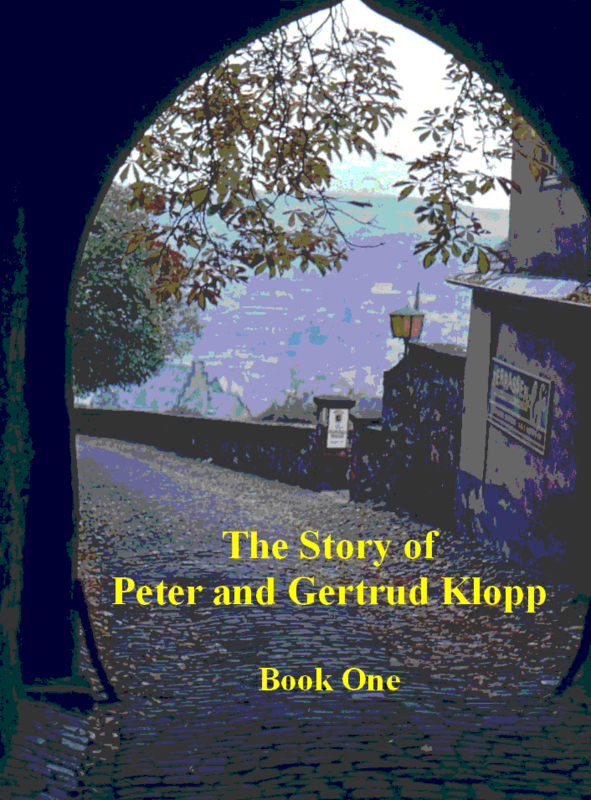 Last February I completed Book I of the Peter and Gertrud Klopp Story. I wanted to have the book published so that my immediate family members would have a lasting record. When I finally found a publisher willing to produce ten copies at an affordable price, I was pressed for time, as my brother Karl’s 85th birthday was rapidly approaching. Consequently quite a few errors remained uncorrected in the final editing process. With the launching of this blog it seems fitting to republish a condensed version of the book, which will hopefully be error-free. Presently I am writing Book II, the story of Biene’s side of the family, starting like Book I with the grandparents and ending with that momentous event in 1962, when Biene and I met for the very first time at the municipal campground of Lake Baldeney near the city of Essen, Germany. Great start on the family tree! Keep it up! I don’t know you but this post just brought a smile to my face. There is something very heart-warming about your family and the fact that you have written a book about and for your family (something of an autobiography?) adds to the sense of a strong-knit relationship you must all have. This will be a gift to future generations of your family. Peter, you have the gift for passing on what will be history to the others. You may not hear their pleasure, but they will be grateful. Thank you for your kind comment, which I really appreciate very much! Reading in your ‘About me’ I also discovered that we share the interest in ham radio. I used to operate under the call sign VE7CRM. But now blogging and photography are my passion.